Genetic analysis is the method of research and learning within the fields of molecular biology and genetics. It involves the use of a wide array of applications while the basic system of analysis usually pertains to conventional genetics. The more common forms of genetic analyses include the identification of genes and the analysis of inherited diseases. Genetic analysis may also imply the physical observation of patients as it has been conducted for a long time in medicine, or it could imply the microscopic evaluation of genetics within the field of molecular biology. Another common application of genetic analysis lies in differential diagnosis during the analysis of specific diseases. It also finds use in mutation detection as well as copy number changes in DNA. One of the many practical applications of genetic analysis and genetic analyzers lie in creating breakthroughs in cancer research. Multiple advancements have occurred already in cancer treatments thanks to genetic analysis, as doctors are able to identify the cancer cells due to their abnormal genetic makeup. The overall possibilities of genetic analyzers is huge and only time will tell what the practical applications may turn out to be. Many of the current applications of genetic analysis have allowed scientists to new discoveries in the foundation sciences of genetics. Genetic analysis can also be used to evaluate genetic linkage and the spatial arrangement of chromosomes and genes. Genetic analyzers are complex equipment that contain instruments and chemical solutions needed to carry out the genetic analysis of a genome sample. Genetic analysis is extensive that involves DNA sequencing studies, DNA microarray studies, cytogenetic studies like karyotyping, DNA amplification and other processes. DNA sequencing further involves the utilization of a number of reagents and solutions to assist the slicing of the genome into sections for analysis purpose. Genetic analysis comprises a multitude of reagents and known methodologies. The development of genetic analysis has reduced the cost of genome sequencing considerably, however, it requires the assistance of complex machinery such as PCR, genetic analyzers, etc. The technological capability of genetic analyzers is one of the major factors driving the global genetic analyzers market. Genetic analyzers offer software support, which includes algorithms that can deduce the result of a sequencing strain. This assists researchers to comprehend the nature of mutation, similarities in protein translation, and the probability of duplicating a natural protein synthesis. The use of genetic analyzers has not only assisted in research for understanding protein synthesis, but it has greatly assisted in studies for various types of cancers and consequent mutations resulting in abnormal organ growth. In addition, genetic analyzers are also used for studying virus evolution and mutations which enable scientists to monitor the transfer of virility of virus between species to humans. Technological advancements in the sequence reading capabilities of genetic analyzers will shorten the time required to process a gene sequence. This will increase their potential to handle sudden mutations occurring spontaneously, for example the Ebola virus. The characteristics of such sequencers and the applicability of sequencing procedures universally will multiply the benefits of genetic analyzers. This will propel the growth of the genetic analyzers market. However, the use of genetic analyzers is restricted due to certain factors. The operability of such advanced automated machines requires technical expertise leaving little room for human error. Calibration is needed among genetic analyzers; advanced genetic analyzers have a provision to set up process requirements in the form of standards. The high cost of genetic analyzers resulting in their availability in limited number in research organizations is also deterring the growth of the global genetic analyzers market. At present, North America is currently the largest market for genetic analyzers and is expected to retain dominance due to the high expenditure on research and development in this region. North America is closely followed by Europe and Asia Pacific. The increasing spending on advanced biotechnological research in China, Japan, Korea, and India will lead the Asia Pacific genetic analyzers market to reach new heights. China recently increased its annual expenditure on research, following which it is the second largest investor in research after the U.S. Therefore, research expenditures in Asia Pacific are expected to exceed Europe within few years and North America in the future to be the leader in research and development. 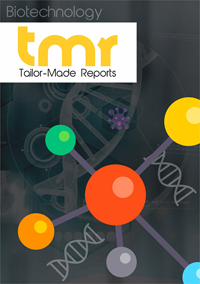 Some of the leading companies that have a significant presence in the global genetic analyzers market are Thermo Fisher Scientific Inc., Beckman Coulter Inc., and Applied Bio Systems Inc. among others.